In my case, I wanted to give the client the option to change where the archive for their custom post type was located rather than hard-coding it into the theme. Because this site wasn’t going to use Posts in the standard way, I figured the existing “Posts page” setting would work well. The first line makes sure this function won’t change the query in the WordPress admin area, and that it’s actually the main query that you’re modifying. Then it checks whether you’re currently viewing the Posts page (is_home will be true on that page only). Altering the query like this is possible because pre_get_posts fires before the query is actually executed. I’ve used it before, to change what displays when someone submits an empty search on your site. It can do a bunch of useful stuff, so I recommend reading through the hook’s Codex page for more ideas! If you’re creating custom post types in your theme, this function belongs in your theme’s functions file too. If you’re doing it via a functionality plugin, this code should go in the plugin. 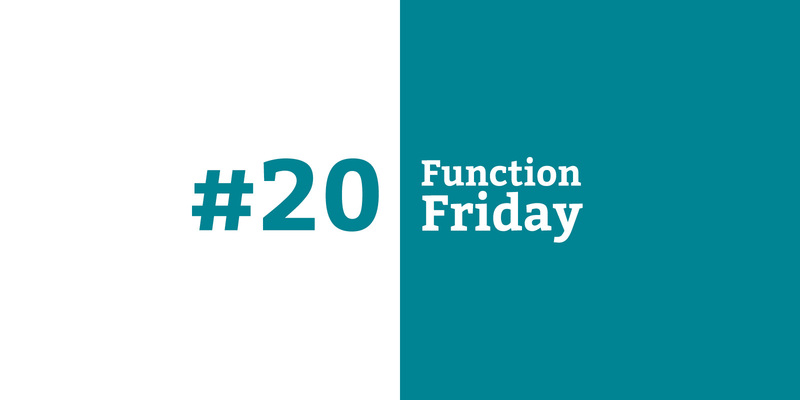 There’s more information on where to put your code in the first Function Friday post.